FREE SCALE WITH $300 PURCHASE! ALL PRODUCTS 3RD PARTY TESTED! Uridine (as uridine 5′-monophosphate) is a molecule that is predominantly present in the nucleus of a cell and is 1 of the 5 nucleosides that constitute nucleic acid. The molecule is a very important part of Ribonucleic acid (RNA) and is an indispensable part of the basic cell structure of the nucleus. Uridine is synthesized in the liver as Uridine monophosphate. This is secreted into the bloodstream, where it serves multiple purposes including cell rejuvenation. Uridine is sometimes found in the bloodstream as Uridine triphosphate and Uridine 5 monophosphate. Apart from the bloodstream, the chemical is also found in breast milk. With its main function being, to enhance brain activity and keep a person’s mind alert. This molecule is mostly derived through the food that we consume but can also be availed through different supplements. It is important to first consult your physician to ensure that it does not tamper with any existing conditions in the body. Some natural sources of Uridine include sugar cane, beer, yeast, tomatoes and barley. Regular consumption of these foods will ensure that your body’s Uridine level remains constant. This nootropic is related closely to Citicoline. Uridine is considered as one of the leading nootropics in the world because of its ability in helping neurons make new connections inside the brain. 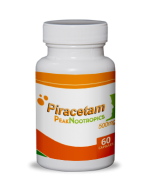 This naturally occurring nootropic is a mental stimulant that enhances brain activity. It is primarily used to enhance memory and is responsible for the synthesis of both old and new memories in the brain. As we know, it is quite important to hold on to old memories, as they will prevent the onset of memory loss. Lower levels of this molecule in the brain is said to cause both short term and long term memory loss, and can also lead to other mental issues such as loss of cognition and the onset of anxiety. Uridine mostly works by enhancing the neuroplasticity in the brain and makes a person more susceptible to combating mental issues that tend to occur as one ages. 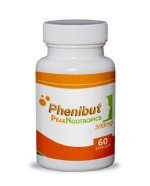 This nootropic is also responsible for phospholipid syntheses that occur inside the brain. It works closely with choline to enhance brain activity and increases a person’s mental alertness. Uridine is bioavailable since it is easily absorbed into the bloodstream and reaches the gut within a few hours of its consumption. It is also responsible for translating instructions given out by DNA onto proteins. Uridine does have some possible side effects, as do most supplements. Here is looking at some of them in detail. Heart problems is a common side effect of Uridine overdose, especially if it is consumed without proper guidance. Although no cases of heart attacks have been reported, it is best to consume the it under prescription from a medical practitioner. Milder side effects of the supplement can cause fever, diarrhea and also induce palpitations. These generally occur within 30 minutes of consuming the supplement and fade away within an hour or so. There have also been reports of headache and body aches, but there is no conclusive proof for the same. One aspect of Uridine that makes it somewhat unsuitable for people in dire need of a solution to their health issues is that it does not work immediately on the body and takes its own time to work. There is no set dosage for uridine and it varies from person to person. Some people consume 500 mg of uridine while some others consume 1,000 mg. It can be administered once or twice a day depending on the structure and need of the body. In combination with certain other nootropics, Uridine helps in enhancing brain plasticity and increasing dopamine levels in the brain. The nootropic is available over the counter and can be bought without a prescription. It is said to be a safe considering it does not adversely react with other products in the market. However, it might amplify the effects of certain other supplements and also some prescription medications, so your physician should be consulted prior to usage. Try our products risk free. Be 100% satisfied with our products or your money back! How Much Nootropics to Use? 225 queries in 1.765 seconds.